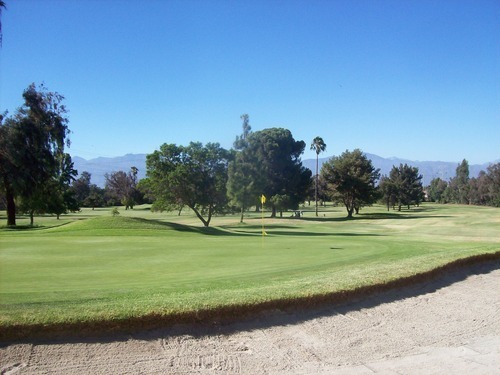 There are two private courses that go by the initials of CCC in Whittier. 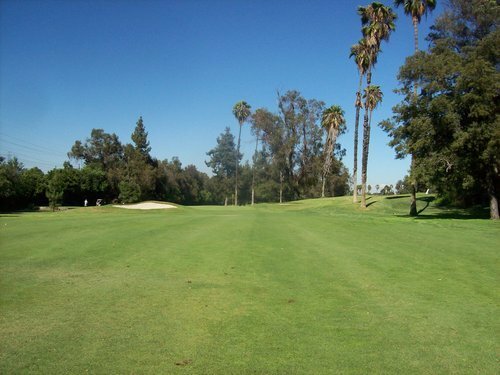 I had the chance to play Candlewood Country Club earlier this year. 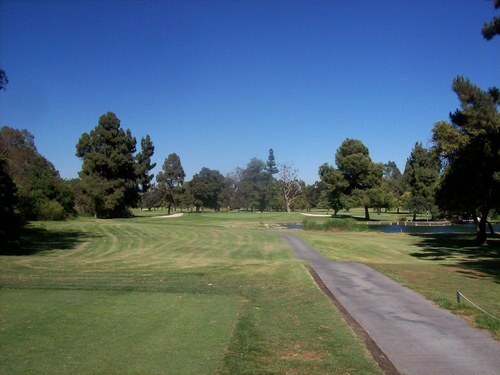 I ended up liking that course a lot, so I was excited to play California Country Club yesterday. This is one that’s been on my radar for awhile. Though considered “private,” I noticed some time ago that they were listed on GolfNow and had the occasional public tee time available. For the most part, they were limited to Mondays. I knew enough about the course to know I wasn’t in any rush to take a day off from work just for it. However, it was always bugging me knowing it was at least somewhat easily accessible through that booking site. Recently, I noticed they’ve added more options. Likely a sign of the times (poor economy) as all courses—public and private—are looking for ways to generate a little extra income. 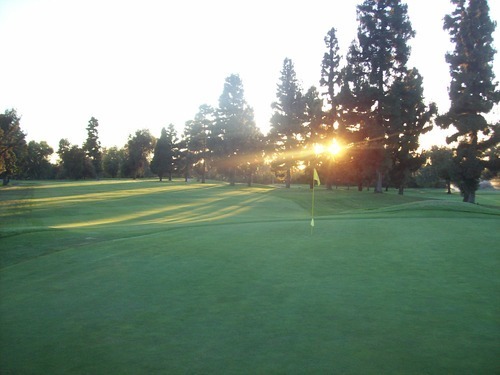 Now, it seems they offer a shotgun start on Monday afternoons and Friday mornings, along with some scattered “normal” tee times on Thursday afternoons/evenings. Those are the ones that caught my eye and finally gave me an excuse to go up there. I booked a 4:04 tee time for $49. Unfortunately, the price point doesn’t really change at all, even late in the day on a weekday. 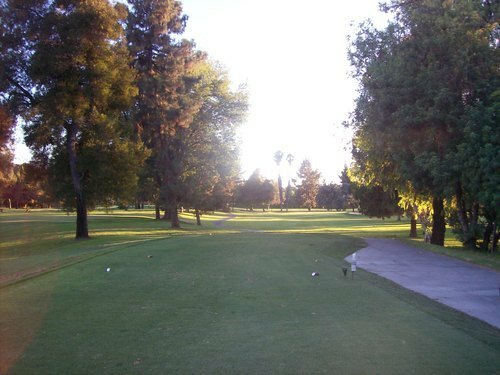 When I showed up, the place didn’t seem too busy, so I was looking forward to a reasonably quick, but relaxed evening round. I didn’t quite get that, but it still worked out well and I finished with some daylight to spare. I ended up playing with another twosome. One was a member and the other was his guest, and like me, was playing the course for the first time. We got to the first tee right behind what was clearly one of the slowest twosomes I’ve ever seen, so we ended up skipping past them and straight to the 2nd tee. After a few holes, we caught a logjam of three really slow groups and really didn’t have anywhere to go after that. We went back and played the 1st hole before making the turn to 10. The total pace of four hours was not terrible, but it definitely could have and should have been quicker considering it really wasn’t that crowded out there. We just got stuck in a tough position and enjoyed it the best we could. 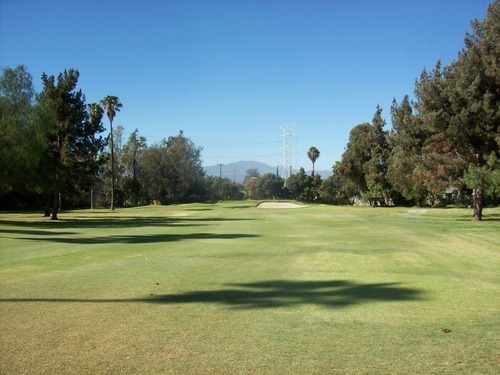 In most every way, California Country Club felt like one of the many muni/County courses throughout the LA area. It just happens to consider itself private, which adds a little appeal to members and outsiders like me looking to play something new. 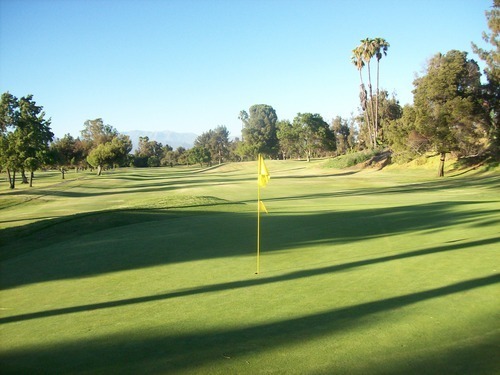 Otherwise, the layout and conditioning felt right in line with what I’ve found at similar nearby public courses like Whittier Narrows, Diamond Bar, La Mirada, etc. 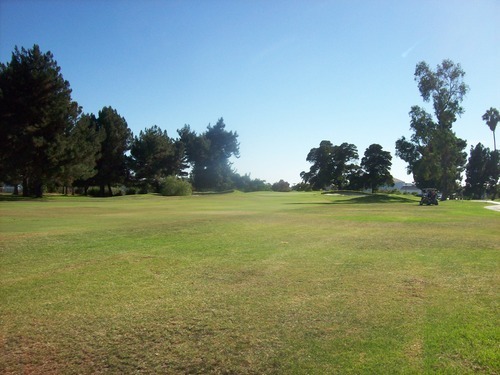 The course is pretty straightforward and flat, with trees lining the fairways and a number of parallel holes weaving throughout the relatively small property. 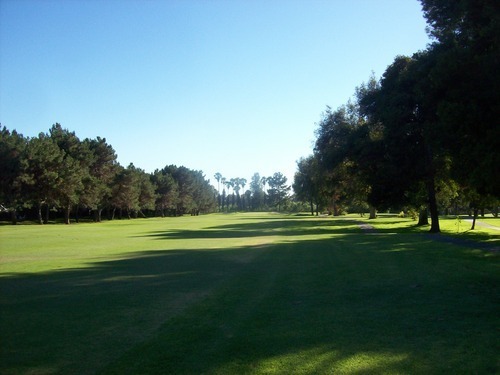 Some trees infringe on your attack angles and will come into play at times, but most of the landing areas off the tee are pretty forgiving. 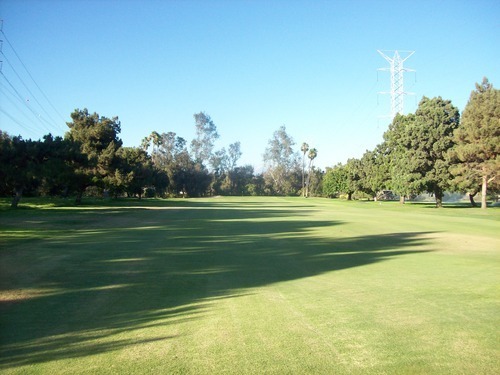 Even when you miss a fairway, there’s ample sections of rough to give you some room for error. The hole that definitely stood out to me as the most interesting and best looking was the par-3 10th. 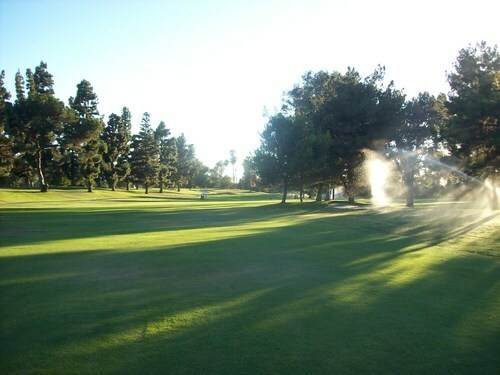 The tee box on this hole is elevated up by the clubhouse and parking lot. 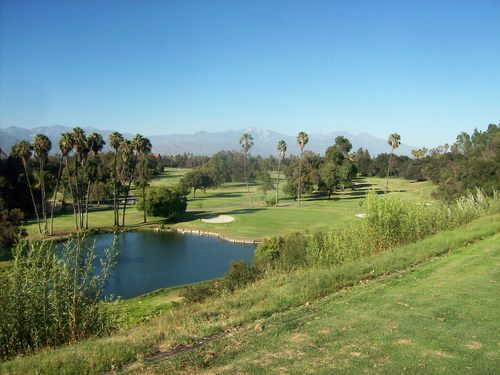 You get a nice view of the mountains in the distance as you hit over a water hazard to a large green. 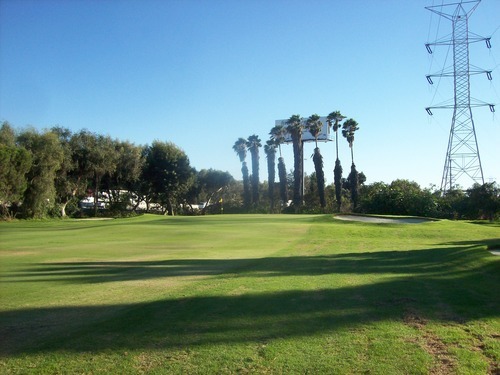 The layout of the hole isn’t anything that groundbreaking, but it is easily the nicest setting on the course. 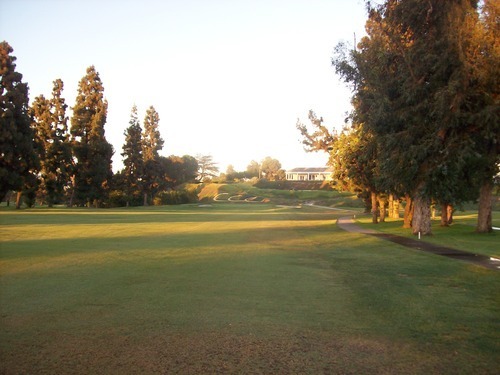 You can’t talk about the setting of California Country Club without mentioning the I-605 freeway that sits right next to it. What’s funny is that over the years, every time I’ve driven along this stretch of the freeway, I’ve seen glimpses of CCC. It always looks pretty green and inviting. 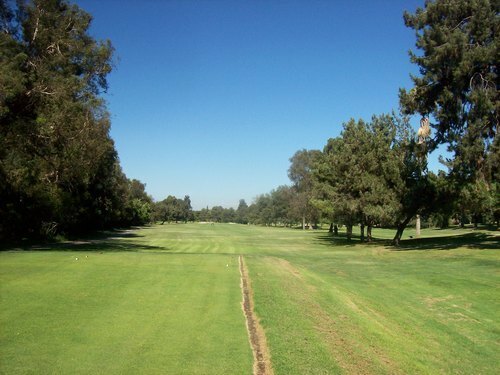 When you are standing on the course, especially those holes that run right along the freeway during rush hour traffic on a Thursday evening, it is unpleasant to say the least. It is loud, a little disorienting at times and all the diesel fumes don’t help either. I don’t know the full story of the two holes that sit on the west side of the freeway (holes 12-13). My guess is those were built after the freeway came in and probably displaced some holes that were there before. I’m not really sure and I don’t care quite enough to research it. 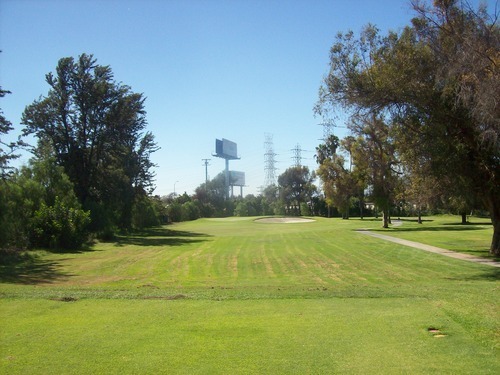 As it is, that is an odd little part of the course on the other side of the freeway and running under the power lines. I will say the back nine is stronger overall than the front and the course does perk up a bit along the finishing stretch of 14-18. Those holes seemed to offer a little more contour and character than the rest leading up to them. The course was in okay shape. I’d compare it to a good to slightly above average muni in terms of conditions right now in the middle of summer. The tee boxes were fine enough. 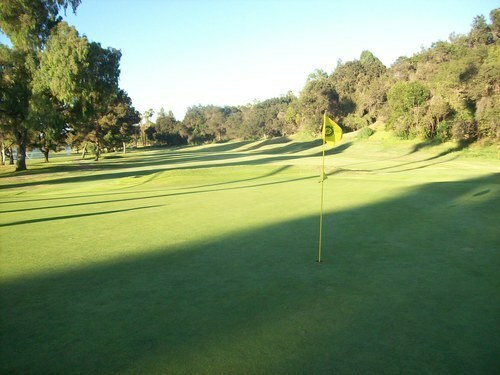 The fairways had some thin/dry patches amidst the kikuyu turf, but I mostly had good likes. The rough was not too bad and is filled in enough where it matters most. Just a little inconsistent in places. It was cut down pretty short anyway, so it wasn’t too much of a factor. The bunkers, I will say, had excellent sand, though I noticed my fair share of unraked footprints. 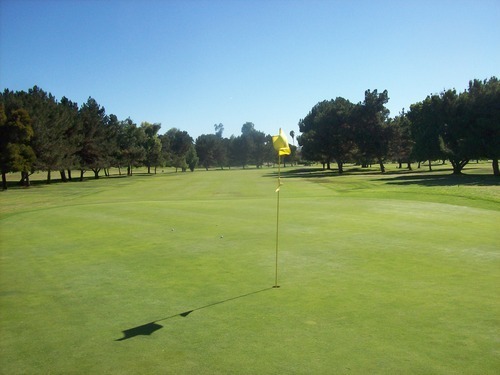 The greens were quite slow, bumpy and beat up at the end of the day. It really frustrates me knowing that many members here obviously do not repair their ball marks or attempt to take care of their course. I was fixing ball marks and filling divots all day, but could only do so much. 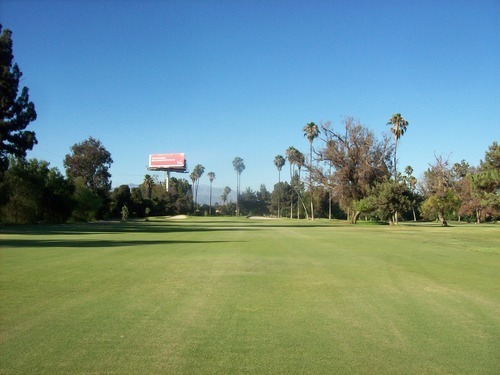 I don’t want to bash on California Country Club too much. 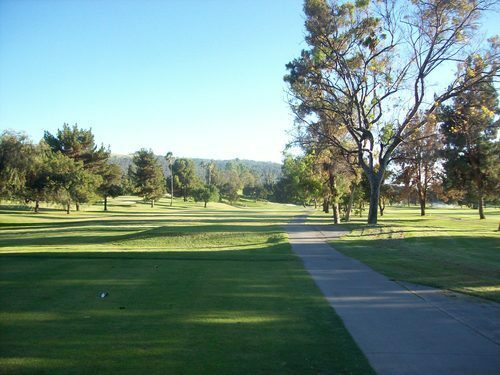 It’s not a bad course by any stretch of the imagination, but it doesn’t offer anything markedly better than so many of the other public options around. It’s not as crowded obviously, but slow play apparently still can be an issue. Unless you are on a quest like me to play everything you can, you aren’t missing out on that much if you skip over this CCC.